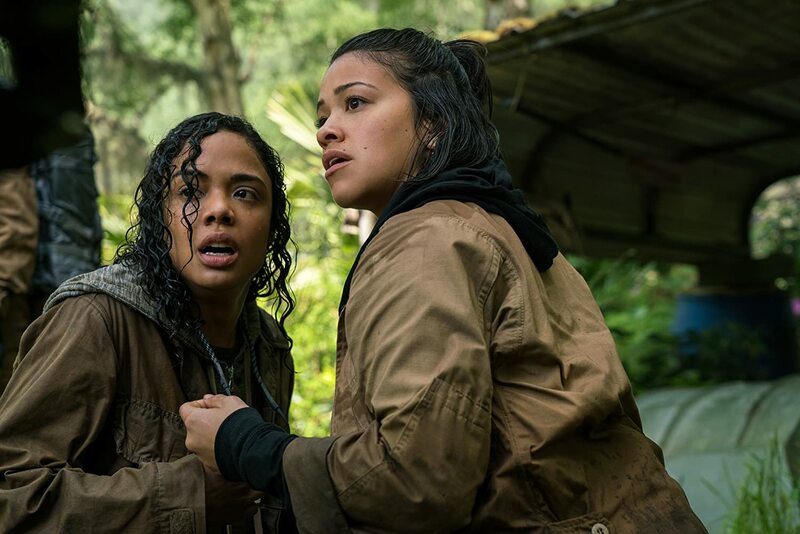 ‘Annihilation’ : A thrilling mystery set in a vivid dreamscape – Cinema or Cine-meh? Comparisons to “Arrival” would be fitting. Comparisons to “2001: A Space Odyssey” might be closer. 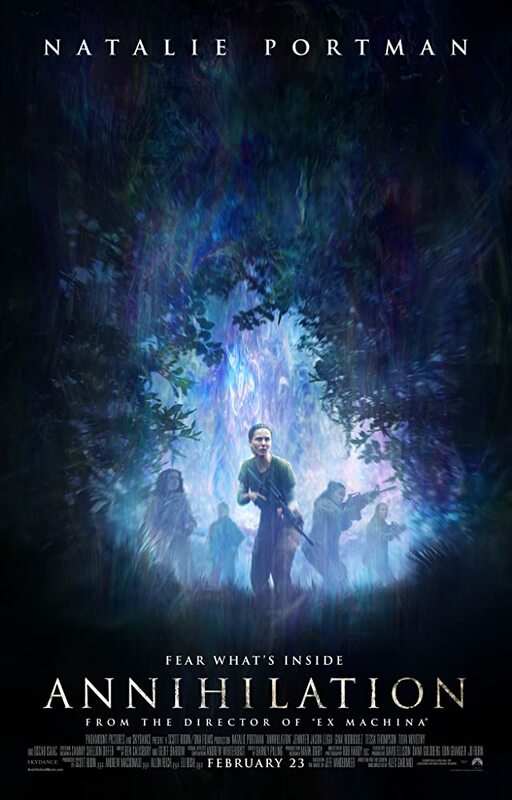 But nothing I say could prepare you for the colorful, mind-boggling “Annihilation,” director Alex Garland’s (“Ex Machina”) terrific sophomore effort. Based on the novel by Jeff VanderMeer, the sci-fi opus tells the twisty story of “the shimmer,” an otherworldly aura that began spreading from its epicenter, under a lighthouse on the coast of Louisiana, about three months ago. The government has sent military men in to investigate, but most never returned. Now, #TimesUp for the guys. Instead, five female scientists (Natalie Portman, Jennifer Jason Leigh, Tessa Thompson, Gina Rodriguez, and Tuva Novotny) make it their mission to travel all the way to the lighthouse to find the cause of the shimmer, in order to figure out how to stop it from spreading. “Annihilation” starts slowly, posing too many questions right off the bat. For the next two hours, it will continue to pose questions. But eventually, you’ll start getting answers, too. A touch of horror helps keep the film thrilling, but the mystery at the core is what will keep you hooked. With so many whats, there’s bound to be a how, a why, if only you wait until the end. We get some answers in the film’s final moments, but if you require total closure—if you’d rather not think about a movie after leaving the theater—this is not the movie for you. If you’ve seen a trailer for “Annihilation,” or even a poster, you’ve likely been struck by the gorgeous visuals. Something about people dressed in earth tones, traipsing through a mystical, vividly colorful environ…the juxtaposition makes the shimmer even more affecting. 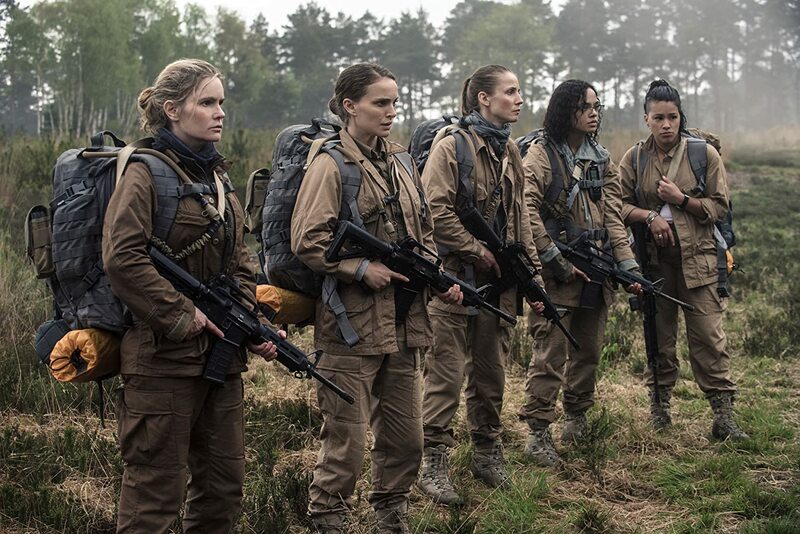 And more to the point—“Annihilation” wouldn’t have been so striking without those camo-clad women. Last year, Natalie Portman was robbed of an Oscar for her masterful portrayal of Jackie Kennedy in “Jackie.” Even though filming for “Annihilation” wrapped up months before her Oscar loss, it seems like she’s acting with a chip on her shoulder. For a rather inaccessible genre movie, Portman’s performance is remarkable. 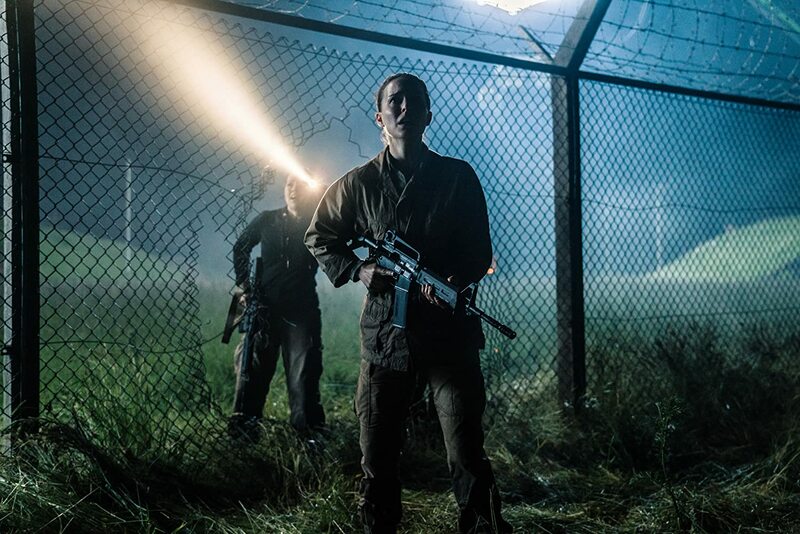 It is way too early to talk 2019 awards, but “Annihilation” may be the first movie of the year to warrant opening that discussion. Jennifer Jason Leigh (“The Hateful Eight”), on the other hand, has been better. Stress has taken a toll on her character, but Leigh looks lazy, like she’s over it already. She’s not present. Part of that was intent, but I think she missed her mark. It makes it nearly impossible to care about her character. Then there’s sitcom star Gina Rodriguez, capably handling a fun dramatic role. Oscar Isaac gets a bit of screen time, but too few lines to really judge a performance by. On the whole, though, this ensemble was well-chosen. It’ll take teamwork to make it out of the shimmer, and it takes just as much effort to make this film a success. “Annihilation” never comes together quite as well as “Ex Machina”—the performances are less memorable (because the roles are less juicy) and the ending is more of an ellipses than an exclamation mark. But Alex Garland again shows that he understands how to make a movie for the thinking person.